Data Analytics is the process whereby sets of data are examined to allow conclusions to be made, based on the information they contain. Many data analytics techniques have been automated into algorithms and mechanical processes- that allow raw data to be transformed into data understood by humans. Data analytics reveals metrics and trends that otherwise would not be understood from large amounts of data. Data analysis technologies are widely used across most industries, to allow organisations to make more strategic business decisions. Data analytics can help businesses increase their revenues, improve their efficiency, improve customer service efforts and optimise their marketing campaigns. Data analytics also helps businesses to respond quicker to emerging trends within the industry and can also help them gain a competitive edge over their rivals. The concept of big data has been around for many years, with most organisations understanding that if they capture all the data that is associated with their business, they can apply analytics and gain some valuable insight from it. The process of obtaining data has changed significantly over the years. Now more than ever, speed and efficiency are key benefits that make the process smoother for organisations. With the ability to identify insights for immediate decisions, big data analytics provides businesses with the ability to work faster and stay agile. - Data allows organisations to harness their data and use it to identify new opportunities. - Data analytics is key in helping businesses optimise their performance. Insight into new products and services. Analytics allows companies to understand customer needs and satisfaction which allows for development into new products and services that suit their needs. Reduction in costs. Data technologies provide cost advantages as they can store large amounts of data and can help to identify more efficient methods for business processes. Efficient decision making and analytics of customer trends and satisfaction. Helps to give an understanding of what has happened over time; i.e., has the volume of sales increased or have page views increased? This type of data analytics uses raw data from various sources to give valuable insights, however, it often lacks explanation as to why this is happening. 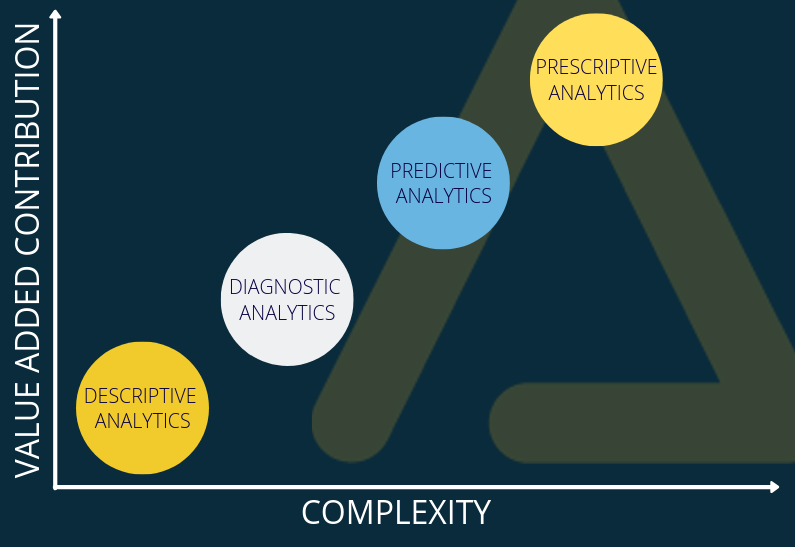 Due to its lack of complexity, many businesses decide to combine various types of data analytics to understand the bigger picture. Diagnostic analytics helps us to understand why something happened through looking at patterns and trends. This type of data analytics gives in-depth insights into a particular problem. Predictive analytics helps us to predict what is likely to happen in the future. It uses findings from descriptive and diagnostic analytics to identify trends, tendencies and exceptions, making it a valuable tool for forecasting. This type of data analytics suggests a course of action to eliminate a future problem or to take advantage of a trend that has promising prospects. This type of analytics requires historical data and external information. With several types of data analytics, businesses have a broader scope of options when it comes to determining how deep they need to dive in to data analysis and understanding what suits their business best. Currents trends indicate that more and more businesses enter a situation where they require advanced data analysis and so by utilising it, they can help to make better decisions on behalf of the business.